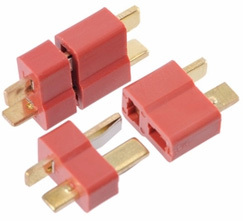 Never accidentally switch polarity again with these handy Deans Connectors. The positive and negative terminals are perpendicular to one another essentially making it impossible to reverse polarities. Comes with heat shrink tubing to protect soldier connections.